Six seniors at Desert Vista High School in Arizona may learn the hard way that social media has a long memory. 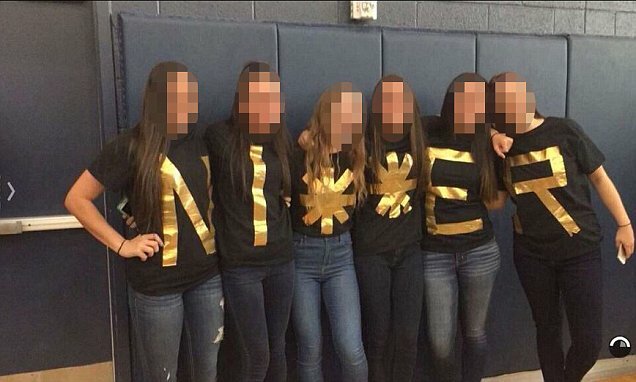 On senior photo day in January, 2016, the girls put on shirts that spelled out the “N-word.” Each girl wore a letter with the two G’s represented by two asterisks. The photo was posted to Snapchat and went viral. Calls for the girls expulsion were accompanied by protests and demonstrations. The underlying concern is what prompted these students to publicly display the most offensive and racially charged word in the English language. What was their message or was it just thoughtless juvenile behavior? Whatever the reason behind their act, they have the rest of their lives to think about it and, hopefully, change.